At Naomi Bridal, Ballyclare, Co. Antrim just a few miles north of Belfast we offer a warm and friendly welcome. The atmosphere is relaxed and pressure free to allow you and your bridal party to enjoy an exciting wedding shopping experience. We operate on an appointment only basis, ensuring all our brides receive a one to one service. 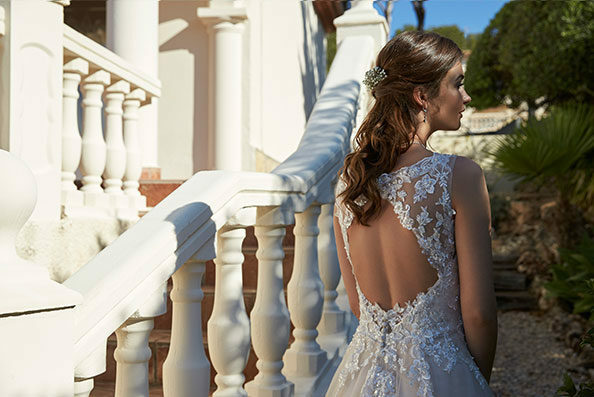 We have a stunning collection of bridal, bridesmaid, flowergirl dresses, and accessories sourced from the leading design houses to cater for every style and budget. Follow us on our Facebook for up-to-date information & offers!